Our pass packages allow you to experience the full array of films, panel discussions, community and VIP events. Provides priority admission to all Screenings, Panel Discussions, Community Events and the VIP Opening Night Party. Although PATRON PASS holders will be admitted to the theaters 15 minutes before the scheduled start time, this pass does not guarantee a seat. This pass is non-refundable and non-transferrable. Provides admission to all Screenings, Panel Discussions and Community Events. Seats are available on a first come first served basis for all screenings. This is a limited special that includes TWO FESTIVAL PASSES for $250 (total discount of $50 for 2 passes). 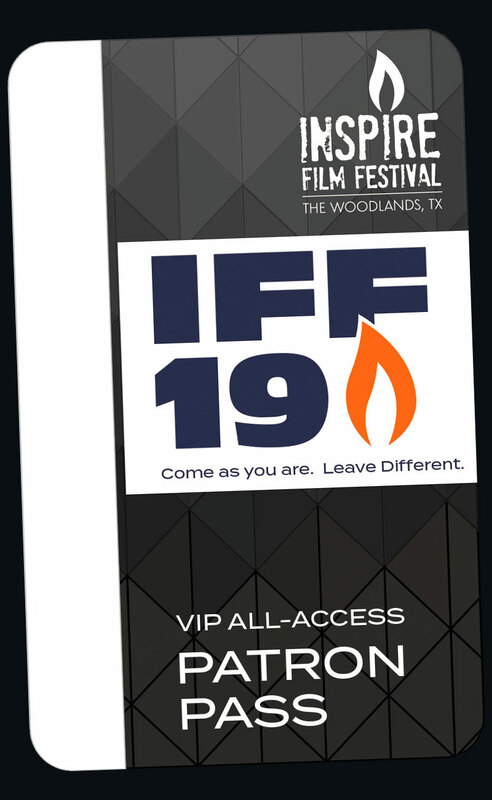 The Festival pass provides admission to all Screenings, Panel Discussions and Community Events. Seats are available on a first come, first served basis for all screenings. This pass is non-refundable and non-transferrable. Teachers receive 50% off passes, thanks to the generosity of Woodforest Wealth Strategies and Woodforest National Bank. Use code TEACHERS50OFF. Must provide school issued email address to purchase passes and present a valid school ID to pick up passes. Seniors receive 50% off of one Festival Pass. This pass provides admission to all Screenings, Panel Discussions and Community Events. Seats are available on a first come first served basis. A valid photo ID will need to be presented to pick up passes. This pass is non-refundable and non-transferrable. Provides eligible students admission to all Screenings, Panel Discussions and Community Events. Students will need to present a school issued valid ID to pick up their passes.